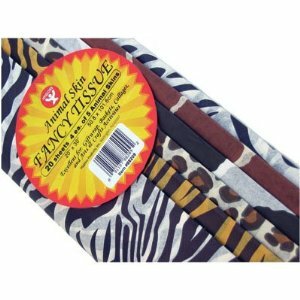 Fancy art tissue paper has 20 sheets of assorted animal print patterns including Zebra, Tiger, Leopard, Giraffe and more. 4 sheets of 5 different designs, each sheet measures 20×30 and is non-bleeding. Perfect for gift wrapping or various art projects.